​Michael Kors, Coach or Kate Spade. Bring a group of 8 friends and we will reserve a table for free for your group! 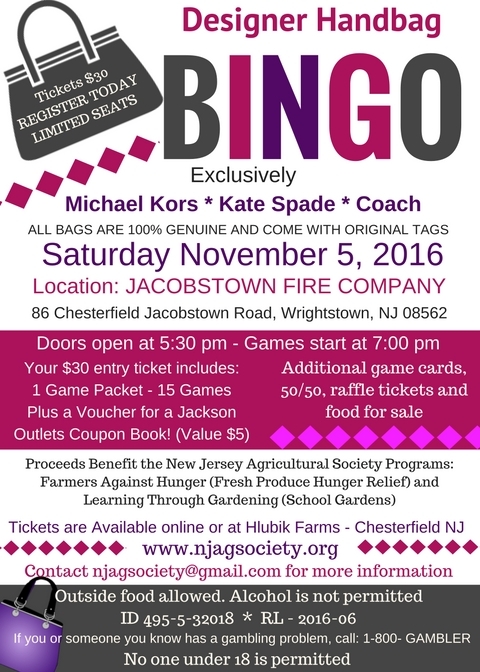 In addition to handbag prizes, we will have tricky tray raffle prizes as well! Click here for a sneak preview of some of the great items! call Kris @ (609) 462-9691.